As a lawyer with experience in the field of sustainable development and natural resources law, I hope to apply my knowledge on international policy processes through future work with indegenous and local communities. 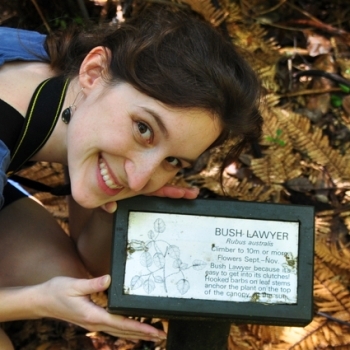 In the New Zealand Kauri forests: A Bush Lawyer meets a bush lawyer. Having worked as an international lawyer for the International Centre for Trade and Sustainable Development (ICTSD) for the past three years, I have been involved in a vast number of international debates and formal court proceedings at the World Trade Organization (WTO) concerned with socio-ecological challenges and environmental justice. In that capacity, I worked on issues surrounding the development and application of genetically modified organisms, increasing demand for agricultural commodities and related land use changes due to the promotion of biofuels, and the impact of resource and land rights for biodiversity conservation through indigenous and local communities. Most importantly, I represented ICTSD in the process that led to the adoption of the Nagoya Protocol on Access to Genetic Resources and the Fair and Equitable Sharing of Benefits Deriving from their Utilization. Moreover, since 2011, I have been responsible for ICTSD’s project on trade law and sustainable natural resources use. While international law tends to focus on state-to-state relationships, I believe that it is of outmost importance to involve communities at the local or regional level and to strengthen their rights towards that end. Eventually it is peasant farmers, indigenous peoples and local communities that are the key to sustainable resource management strategies. Meanwhile, while often being excluded from relevant international processes, these communities and their socio-ecological heritage are most affected by adverse policies. Strengthening their rights and abilities to defend their interests in today’s highly dynamic and inter-dependent world, I believe, should be one of our major objectives. Marie returned to GESA 2013 as a resource person and is collaborating with Nnaemeka Ikegwuonu (2012) on a project entitled Future Farmers in Nigeria funded by the Alumni Innovation Fund.